Kerala PSC invited the applications for the post Stenographer Grade II/ Steno­Typist Grade II (General Category) in Kerala Co­operative Milk Marketing Federation Limited. The qualified candidates should do One Time Registration in Kerala PSC Thulasi website. 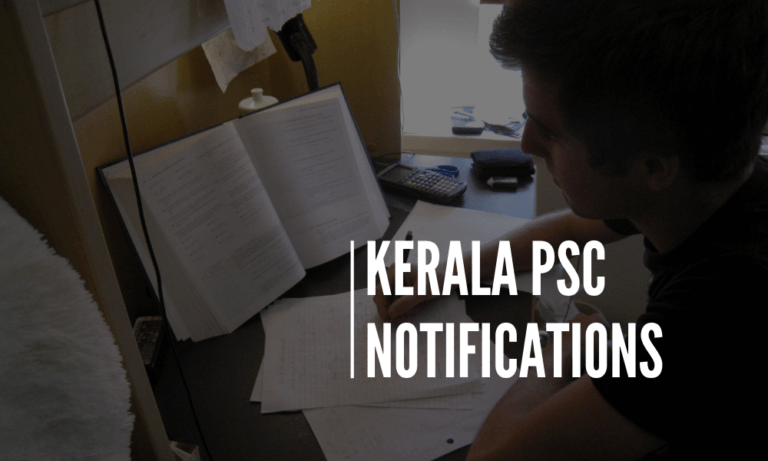 Kerala PSC Notification for the post Stenographer Grade II/ Steno­Typist Grade II (General Category) in Kerala Co­operative Milk Marketing Federation Limited is given below. The last date for the application is January 30, 2019. Age limit 18-­40, Only candidates born between 02.01.1978 and 01.01.2000 (Both dates included) are eligible to apply for this post. Other Backward Communities and SC/ST Candidates are eligible for usual age relaxation. 6) Certificate Course in Computer Application/Data Entry Operator or equivalent issue by a State/Central Government recognised institution.